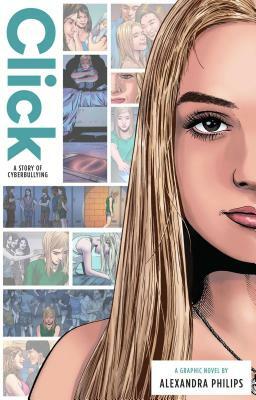 Click is the heroic story of a young girl who was terrorized by schoolmates with merciless online harassment and her brave effort to overcome her tormentors. Her powerful, compelling story is told in brilliant graphic novel form. Lexi’s story of cyberbullying is a shocking depiction of young teenager’s torment in the newfound world of online harassment. Lexi, from Northridge, California, is ganged up on by a few girls over a misunderstanding on the schoolyard. The incident escalates on social media, local chat boards, and gossip sites. Forced to change schools, Lexi gets her karmic revenge when she returns to her old school for a Winter Formal. In a gesture of pure bravery, Lexi turns the tables on the “clique” by landing the boy at the dance and her picture in the yearbook. Michelle and Anthony E. Zuiker are the Founders of Zuiker Press. The husband and wife couple develop and publish "real" stories of young people suffering from issues that affect children every day. Mrs. Zuiker is an 18-year educator from Las Vegas, Nevada. Mr. Zuiker is well known as the Creator/Executive of the “CSI: Crime Scene Investigation” franchise on CBS – the most successful TV show is global history. Lexi Philips is a 16 year old girl from West Hills, California. She attends a private school where she plays competitive volleyball. On the weekends, Lexi enjoys hanging out with friends and traveling with family.